We’ve touched on a few things to be aware of when marketing to Millennials. However, it is just as important to pay attention to what happens during and after the sales process as how you market before the sale. Client experience is an essential factor to consider when targeting Millennials, as their experience determines not only if they work with you again, but also what they say about you to other Millennials. As we’ve mentioned before, Millennials are now the largest generation in the workforce. Because of this, they have the decision making power when it comes to making purchases, both personal and professional. To this group of individuals, the experience they have while working with a company will determine their opinion of the company going forward. Millennials perform thorough research before making a purchase, utilizing both experts and peers to make their purchasing decisions. Because of this, it is important to keep your reputation intact with Millennials and their influencers by creating a positive client experience. Millennials have been raised with the Internet as a part of their everyday lives. Because of this, Millennials are eager and ready to adopt any new technology that arises. When creating a client experience, be sure to include a number of different avenues for Millennials to connect with your company. One thing to be cautious about when implementing technology in your business processes: due to the accessibility of technology, Millennials are used to being able to gain information and data at the press of a button. While it is important to still have team members present in any technological exchange, be sure that your presence adds value to their interaction instead of causing friction. Examples of this could include asking fewer questions in initial forms or interactions, but following up with a personalized email directly from a team member. Millennials are not afraid of new technology, so you should not be afraid to implement new technology into your current marketing strategy. Be sure to include personalized interactions in a way that is organic and does not increase friction. Another way to increase the client experience is through collaboration with your target audience. Have you ever been developing a new product or service and wondered if your audience would truly be interested in it? Millennials want to collaborate with businesses to help them develop products and services that they are interested in. This can be seen from Lay’s potato chips running contests to choose a new flavor to businesses sending out customer satisfaction surveys. 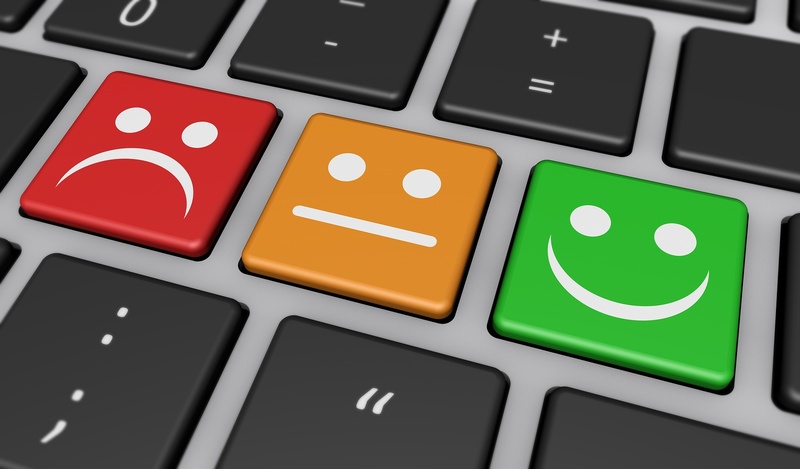 While these examples may seem unrelated, they both show that customers, and especially Millennials, are willing to collaborate with your business by providing feedback about their experience if you only ask them. Studies show that Millennials are less prone to posting poor or negative reviews about a company online than previous generations. The graph below shows that while they do use these reviews in the research phase of their purchasing decisions, they also understand that one bad review does not mean a company is bad. However, if you are willing to collaborate and work with Millennials, whether it be a client satisfaction survey or help with developing products of interest, they are more than willing to work with you and show their satisfaction online. Millennials consider collaboration to be a large part of a positive client experience. By asking them what they want from your business, your products, and your services, you will create a positive collaborative environment for them to make purchasing decisions. A final way to create a positive client experience for Millennials is by being transparent and providing open and authentic communication. As we’ve mentioned before, Millennials resonate with brands who are authentic and transparent in their online presence and marketing. We’ve listed a number of ways to do this, including providing valuable content over overt advertisements and by participating in socially responsible causes. To create a positive client experience, this communication and authenticity should be present from beginning to end of the buyer’s journey. A great example of how to accomplish this can be seen on Sony’s Twitter account. They communicate and show authenticity through a number of ways. If you visit their Twitter account, they respond to a number of customers who are showing off their new Sony products. They congratulate them, say how cool their new product is, or communicate in response to the tweet. By communicating authentically with your customers through creating a personalized experience, you allow the client experience created by your company to stand out from other companies. Find ways to make the Millennial customer feel as if they aren’t just another dollar to you. Connect with them on social media platforms and thank them for their purchase. Share their story to your followers. Create an experience as opposed to a commonplace purchase. Millennials value the entire client experience, not just one portion of it. You could have a great product or a wonderful service team, but if the whole experience isn’t great, Millennials won’t want to do business with you. Past generations only cared if your produced a quality product or quickly delivered purchases; Millennials want to do business with companies who not only produce quality products, but also produce a quality overall experience for them as well. The best way to market to Millennials is to create a buyer persona. Our free template will help you create the perfect marketing strategy for Millennials!